Daily Racing Form senior editor and Mid-Atlantic correspondent: Monmouth, Maryland, Delaware, Pennsylvania, and West Virgina. Stonesintheroad, Forgotten Hero and Flush have won five of their six combined starts and will face off at Aqueduct on Saturday. Hey Mamaluke's trainer Mike Farro hopes the 3-year-old filly will be a player in Pennsylvania-bred stakes later this season. 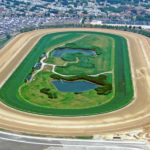 Friday's races will kick off a five-day race week at Aqueduct that runs through New Year's Day. Adulator has the best early foot in the 1 1/8-mile, 10-horse race at Aqueduct Saturday. The horse will race Friday at Aqueduct for the first time since May. Friday's race could go a number of different ways, but Tommy T and Title Ready are top contenders. 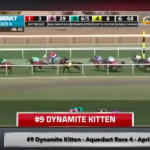 The last two races at Aqueduct on Thursday will make or break the four-race bet. Regardless of surface, the Wesley Ward-trained horse will be a key contender. The jockey comes into Wednesday's program at Aqueduct just three wins shy of the milestone. The horse comes into the race off a third-place finish in the Grade 1 Champagne.